Bertha Madras, PhD is Professor of Psychobiology, Harvard Medical School (HMS, 32 years), and directs the Lab of Addiction Neurobiology at McLean Hospital. Her laboratory discovered key targets of therapeutic and abusable drugs in primate brain, developed novel brain imaging agents currently in clinical use, candidate therapeutics and identified naturalistic primate models of human-based genetic disorders. Her current research focuses on comparing adolescent and adult brain adaptation elicited by cannabinoids. With collaborators, she received 19 U.S. and 27 international patents. 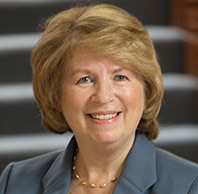 She is editor of several text books, developed the first addictions course (elective) for HMS students (1991), created the Cell Biology of Addictions Course at Cold Spring Harbor Laboratory, and a Museum exhibit, CD (licensed by Disney), “Changing your mind: Drugs in the Brain”, and play, with the Museum of Science, Boston. As Deputy Director for Demand Reduction in the White House Office of National Drug Control Policy, Executive Office of President (a presidential appointment unanimously confirmed by the U.S. Senate), she catalyzed Screening, Brief Intervention, Referral to Treatment (SBIRT) services into national prominence. In 2017, she served on President Trump’s 6-member Commission on Combating Drug Addiction and the Opioid Crisis, and marshalled the final Commission report. The World Health Organization commissioned her to write “Update of Cannabis and its Medical Use” and she served as a panelist for the Vatican Pontifical Academy of Sciences assembly: “Narcotics: Problems and Solutions of this Global Issue”. She is recipient of an NIH MERIT award, NIDA Public Service Award, American Academy of Addiction Psychiatry Founders’ Award, CPDD Distinguished Service Award, CADCA National Leadership Award, Nils Bejerot Award, others. The Better World Report (2006) cited her brain imaging invention as “one of 25 technology transfer (university to industry) innovations that changed the world”.